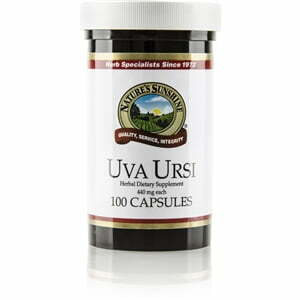 Uva Ursi, a mountain bush, promotes the health of the urinary system. It acts as a cleanser to the system, soothes the tissue of the urinary tract, and may even help promote regular urine flow. 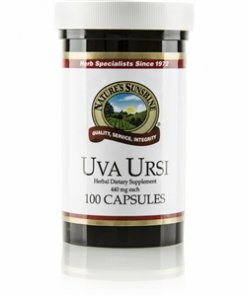 Nature’s Sunshine Uva Ursi capsules are 440 mg. CAUTION: Do not take with Cranberry and Buchu Concentrate.